6515 yards of raw beauty and picturesque holes - prevailing winds, rolling fairways, well-placed bunkers and lightning fast greens. 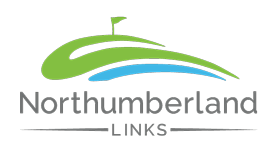 Overlooking the beautiful Northumberland Strait in Nova Scotia, Northumberland Links is one of Atlantic Canada’s most picturesque and challenging golf courses. 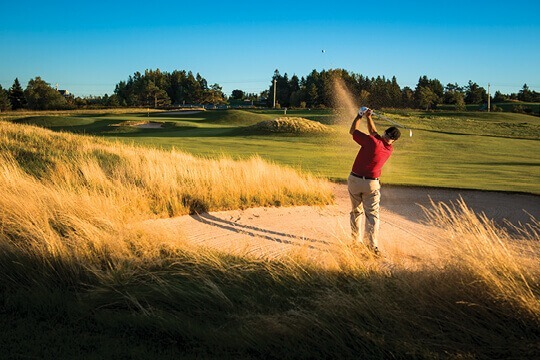 Don’t let its length fool you…prevailing winds, rolling fairways, well-placed bunkers and lightning fast greens make it a true test and enjoyable experience. The ocean scenery combines with the beautiful landscaping of the grounds to create an atmosphere perfect for a round of golf. The bentgrass greens are designed to challenge even the most serious players. The sea combines with the beautiful area of the Northumberland Strait to create not only an atmosphere perfect for a round of golf but also for the perfect getaway. Our play and stay getaway packages offer the opportunity for a memorable Nova Scotia golf experience plus a stay in one of the wonderful local cottages, inns, B&Bs or vacation properties in the area.